Review: For the past 45 years, Athens Technical College has served the citizens of its surrounding ten-county service area by providing quality educational programs. Whether your goal is to earn a certificate, diploma, or associate degree, ATC has over 34 programs in business, health, technical, and manufacturing-related majors. ATC offers many courses through distance learning delivery systems, and the College is noted for its application and integration of technology into the teaching/learning process. 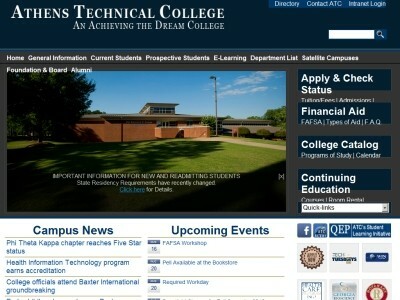 Location & access map for "Athens Technical College"